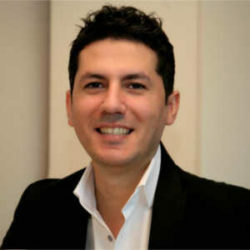 Dr Zekeriya Kul has a medical degree from highly recognized Istanbul University Cerrahpasa Medical School and he is a registered and certified Plastic and Aesthetic Surgeon by the Ministry of Health of Turkey. In the early stages of his career, he had the opportunity to work in several different countries including Brazil, France, Japan, Germany, South Korea and United States of America. During his time abroad, he focused on enhancing his aesthetic talent as well as learning different cultures and views. He is currently accepting patients in his clinic in Nisantasi, one of the most socialite and fashionable parts of Istanbul. Dr Kul is a member of International Society of Aesthetic Plastic Surgery , International Society of Hair Restoration Surgery, Turkish Medical Association and Turkish Society of Plastic Reconstructive, and Aesthetic Surgery.